The increased use of wood framing in mid-rise buildings has been accompanied by a growing incidence of major fires that have destroyed these combustible structures both during construction – when they are most vulnerable – and even years after they have been completed. Modifications in recent code cycles have permitted height and area changes that exceed the capabilities of many municipal water supplies and the ability of many Fire Departments deploy adequate resources to combat fires in these structures. While the steel and concrete industries are natural critics of the codes and legislative changes that permit the use of wood in taller/larger buildings, many fire service professionals are also raising concerns about the risks to public safety and the impact of these structures as they age and deteriorate. The July SFIA Executive Forum features Steve Lohr, currently is Chief of the Hagerstown, MD Fire Department and who recently retired as Chief of the Montgomery County (MD) Fire and Rescue after 30 years of service. Chief Lohr has direct experience in fighting fires the scale that this new use of wood makes possible, most recently with the 2014 fire that destroyed a 5-story wood framed apartment complex in the heart of Montgomery County (see event summary that follows this announcement). 1. The growth of wood framing in mid-rise buildings and the codes that have allowed it. 2. The significant differences in height and area limitations in Type V construction. 3. Increased and more urgent need for additional fire suppression systems in unprotected areas. 4. Risks to occupant safety and the need for additional protected stairwells for civilians and Fire Fighter’s. 5. Fire Departments access and Impacts on adjacent properties. 6. His recommendations on what changes are needed to prevent similar tragedies in the future. The presentation will be followed by a Q&A session. 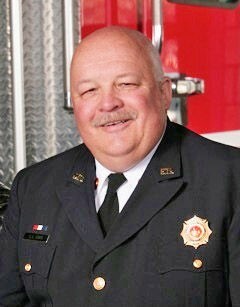 About the presenter: Steve Lohr has more than 45 years of continuous firefighting experience, currently serving as Chief of the Hagerstown, MD Fire Department, following 30 years in Montgomery County, MD, where he retired as Chief of the Montgomery Fire and Rescue Service. In that position, he supervised five, division chiefs, nine assistant chiefs, twenty-six battalion chiefs, and over 1,400 career and volunteer firefighters across 35 stations throughout the county. Lohr holds a bachelor's degree in fire protection engineering from the University of Maryland. He is also a graduate of the Executive Leader's Program at the Department of Homeland Security Naval Post Graduate School, as well as the Executive Fire Officer program at the National Fire Academy.